Cornell University has convened a presidential task force that seeks to implement “meaningful institutional change” and address “incidents of bigotry and violence” on campus, including a review of campus speech policies in an effort to make the Ivy League institution more inclusive. The decision comes after a student yelled “build a wall” near the campus Latino center, for which he has apologized and said was a bad joke, and a white student and black student got in an altercation and the white student allegedly used a racial slur. More recently, a student wrote down the n-word during an exercise, allegedly traumatizing students in the room, according to reports. The task force, announced by Cornell President Martha Pollack, will address “the need for [Cornell] to openly address issues of bigotry and racism” on its campus, according to a statement released by Pollack’s office. The College Fix reached out to Pollack’s office to inquire what steps, if any, the university would take to limit speech on Cornell’s campus. University spokesman John Carberry did not directly answer The Fix’s question, instead responding with links to various statements and news reports on the matter. On its website, Cornell recently identified the three university officials who will respectively head the three subcommittees. The Fix reached out to Madelyn Wessel, the school’s university counsel and secretary of the corporation, who will be chairing the Regulation of Speech and Harassment. Wessel did not respond to a request for comment. The school’s office of Diversity and Inclusion also did not respond to queries from The College Fix. The task force’s announcement comes at a time when Cornell’s campus is experiencing social turmoil centered around racial issues. 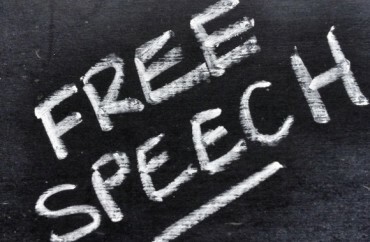 The Student Assembly recently passed a resolution condemning “hate speech” after a student chanted “build a wall” near a Latino housing building, an incident that was reportedly a joke done by a Latino student who subsequently apologized for the prank. 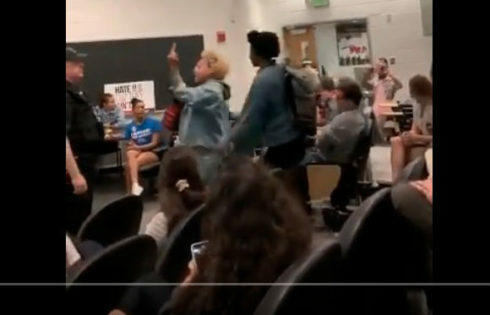 Less than two weeks after this incident there was an off-campus altercation between a white student and a black student in which the white student allegedly used a racial slur. Following these events, the Black Students United and graduate students at Cornell separately issued a list of demands for the university to make to make the campus more inclusive. The College Fix reached out to the Cornell Student Assembly to learn what role, if any, it would play in the task force process. The assembly did not respond. The Presidential Task Force is Cornell’s latest attempt to address diversity and inclusiveness on campus. According to a statement from Provost Michael Kotlikoff and Vice President for Student & Campus Life Ryan Lombardi, the university will spend $5 million per year in faculty recruitment and retention to enhance diversity.